Sauvignon Blanc “Katherines Feild” 2007. 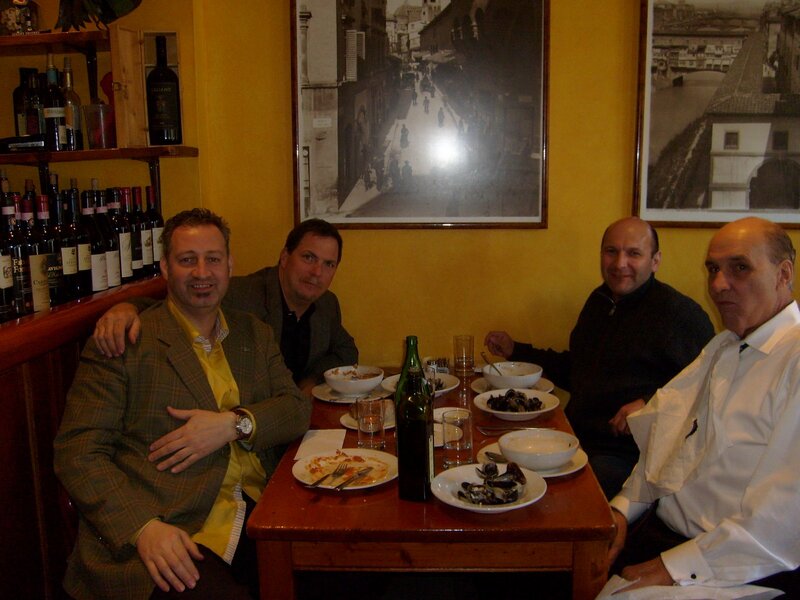 The wine has received rave reveiws from Wine Spectator, Newsday, The NEW YORK TIMES, and others. This Sauvignon Blanc is textbook Savignon, it’s clean and crispy and has wonderful flavors of Gooseberrie, Fennel, and Sage and Classic Sauvignon Blanc Grassiness. The Macari Sauvignon Blanc is being served at such restaurants as Baronda, Per Lei, and Bar Pitti the Hottest Italian Restaurant in Greenwich Village. 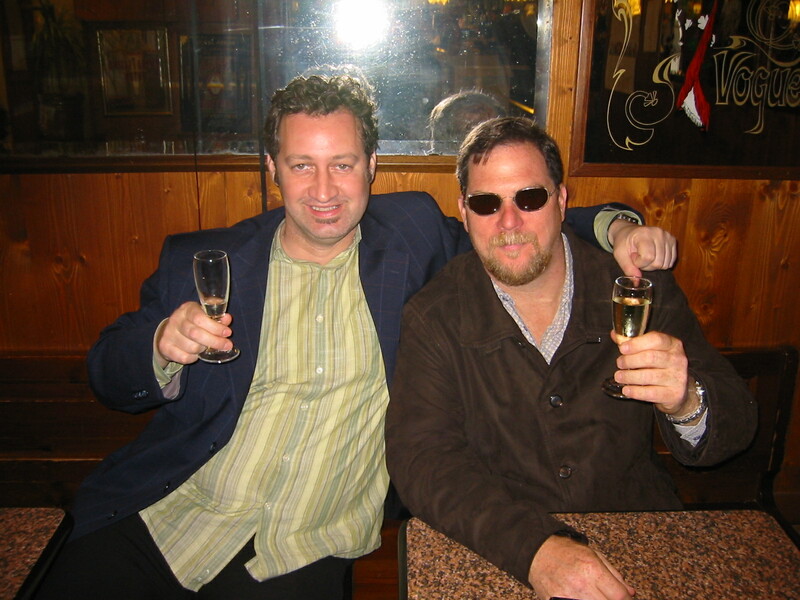 Daniel Bellino Zwicke and cousin Joe Macari Jr. (right) enjoying a glass of Prosecco in a Wine Bar (Bacaro) in VENICE.